Lakeside's My Fair Lady, "Eliza", was pointed but never finished. She didn't like to be shown but proved to be a wonderful producer. 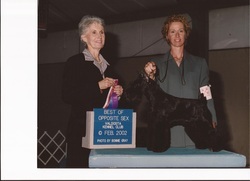 She was bred to Rooster and produced two champions.